How did you spend your Mother's Day? 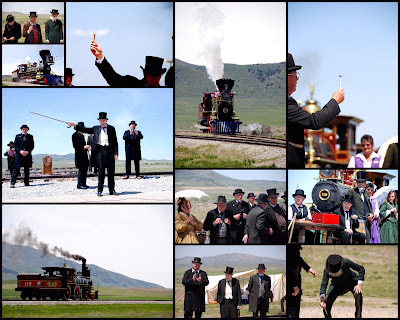 I spent mine out at Promontory Point celebrating the anniversary of the Golden Spike. What a neat day it was. Back in 1947, Scott's great-grandma asked her daughter (Scott's aunt) to write a pageant for the anniversary. 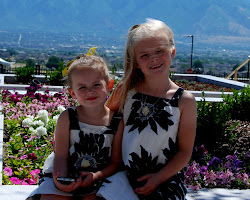 The first time they did it was at Pioneer Park. Then they moved it out to the actual site in 1948. A perfect location for the re-enactment. They have replicas of the original locomotives and the spikes. Everyone is dressed in period clothing and the neatest thing, is that they have as many original cast members there as possible. Grandpa Wayne was one of those original cast members. 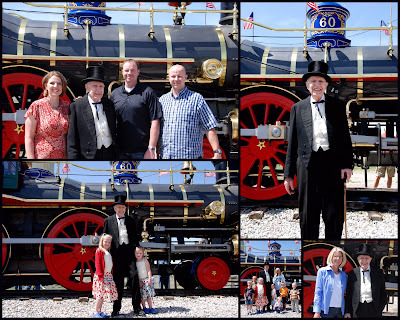 We are so grateful that we got this opportunity to support Grandpa Wayne and participate in this very neat piece of family history. I'm also so glad the girls got to experience this. 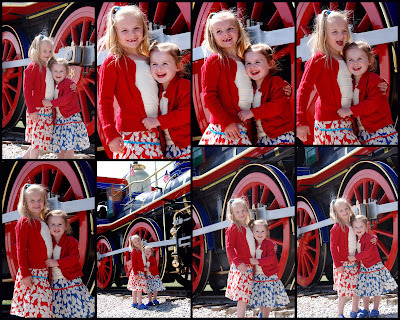 They loved the trains and enjoyed the re-enactment.